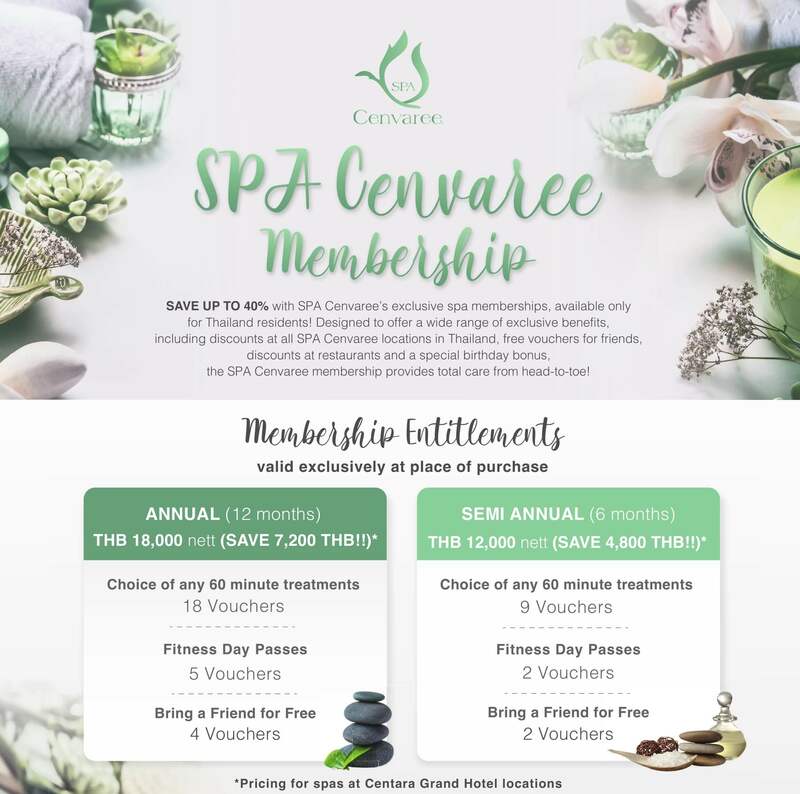 the SPA Cenvaree membership provides total care from head-to-toe! To purchase your spa membership, please e-mail spaops@chr.co.th or visit your local SPA Cenvaree. Select the location of your Spa to see membership details.